Humanitas360 in partnership with Foundación Itaú Chile hosted a showing of the movie “Neruda” followed by a debate in a penitentiary in Santiago, Chile in December. The initiative came about from the positive experience that Humanitas360 had during the movie launch in Brazil this past June. During that period, the organization, in partnership with the PDR Institute, took advantage of having the film’s director Manuel Basoalto in São Paulo in order to carry special showings at alternative places. Basoalto went to two women’s prisons in the city of São Paulo and to the Cinema na Laje (translated “Movie on the Roof,” Cooperifa’s space for movie screenings). The showings were also followed by conversations with the director about social and political topics related to Latin America. In the experience in the Chilean capital, female inmates also spoke with Basoalto and other guests about social and political themes. Other attendees at the event were Benito Baranda, director of Fundación América Solidaria, and Jaime Uribe, director of marketing and sustainability at Itaú Chile. 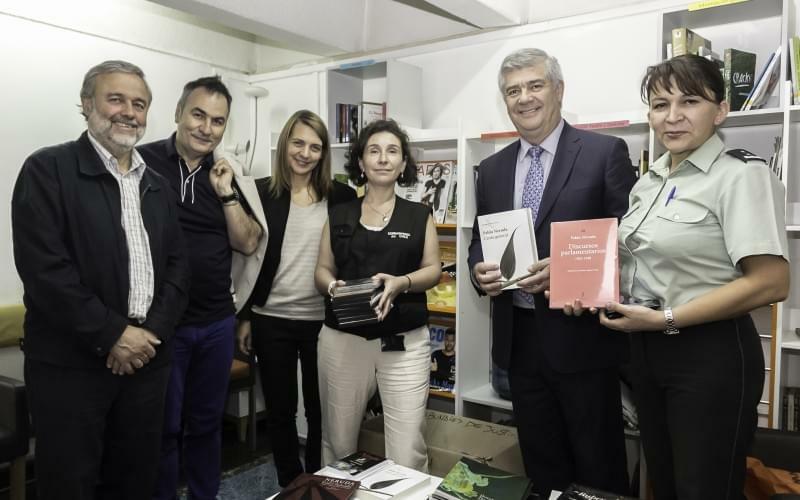 In addition to the activity, the Fundación Itaú Chile donated 25 copies of the book “Canto General,” one of Neruda’s most important works, to the prison’s library. Humanitas360 plans to continue collaborating with the Chilean organization through cultural and educational activities with the goal of empowering citizens.